And yet there have been a couple of really good films made so far about the crash; “Margin Call” was a classic pressure-cooker drama in which a fictional firm tried to minimize the damage they had caused, while “Arbitrage” featured a bravura performance by Richard Gere as a billionaire as intoxicated with his risks as his rewards. It’s not surprising that the subject matter would prove irresistible to an issues-minded filmmaker like Costa-Gavras, who has been delving into corruption in political institutions in his films (“Z,” “Missing,”) for over 40 years. 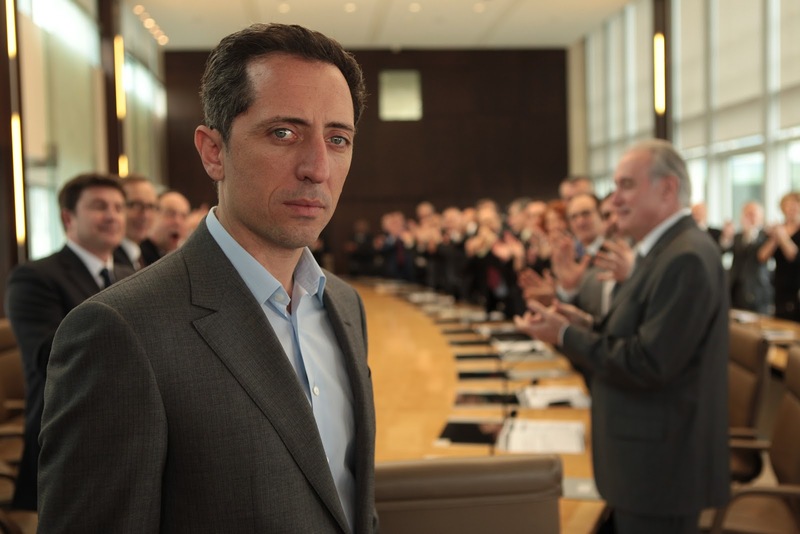 With his new film, “Capital,” out on DVD this week, he’s just shifted his focus from the political world to the financial realm. In other words, he’s gone where the real power is. “Capital” plays like one of the many serial dramas that tend to win Emmys lately, in which we follow a cynical antihero (usually male) trying to outwit rivals even more villainous than himself — think of “Capital” as “House of (Debit) Cards.” Like Frank Underwood, Marc Tourneuil (Gad Elmaleh) even breaks the fourth wall to talk to the audience directly, telling us exactly what his plans are. “Capital” isn’t as good as “Margin Call” or “Arbitrage,” in part because Costa-Gavras holds these characters in such contempt rather than trying to understand what motivates their insatiable greed. Tourneuil is a bundle of contradictions, an impossibly cool customer who loses his reason around an elusive supermodel. Costa-Gavras treats them all as grown children, prone to tantrums and revenge fantasies, always comparing toys in the schoolyard. It’s a fast-paced, cynical film that’s fun to watch, but doesn’t really offer any insight. During an interview included in one of the bonus features on the disc, Byrne compares the corrupt and secretive world of high finance to the Vatican. Which segues nicely into the other Costa-Gavras movie that Cohen Media is releasing on Blu-ray the same week as “Capital,” 2002’s “Amen.” The film looks at the Catholic Church’s dithering in the face of clear evidence of the extermination of Jews in the years leading up to World War II. “Amen” follows two characters trying to work within their corrupt institutions to tell the world about the genocide — a young Vatican priest (Matthieu Kassovitz) and an SS officer (Ulrich Tukur) who is horrified to discover that the chemical he developed to combat typhus is being used in the gas chambers. Neither film is particularly nuanced in its critique, but in contrast with the flashy “Capital,” “Amen” is a slow and somber film, Costa-Gavras’ anger at the indifference of the powerful on a slow, unyielding burn. He may never make another masterpiece like ‘Z” — his outrage seems to outpace his artistry — but after 50 years, he’s a filmmaker who refuses to back down and keep quiet.